With rugby Six Nations in full swing and England beating Italy on the pitch on Valentine's Day, PQ blog this week will discuss a common problem of the knee not only commonly seen in rugby players but also in runners and cyclists - patellar tendonopathy. But before we dive any deeper in with this blog lets have a look at the anatomy. A tendon is a fibrous connective tissue that joins muscles to bone. It is made mainly from collagen fibres and has a fairly poor blood supply compared with muscles, hence it may take longer to heal when injured. The patella tendon is a tendon for the large quadriceps muscles at the knee joint. This tendon also slightly differs from most as it holds the patella (knee cap) in place. Patella tendonitis is an acute inflammation around the tendon but in more long-term cases it may be classed as patella tendonopathy which can be described as inflammatory or non-inflammatory degeneration of the tendon. Symptoms of patella tendonitis may include, pain just below the knee cap, swelling, heat. There are many potential causes for patella tendonopathy, these may include increase in training (running, jumping, cycling), over stretching, tight quadriceps, or altered bodies’ biomechanics after trauma. Treatment for this condition may include: massage, taping, strengthening exercises, ice. The type of strengthening exercise recommended for tendonopathies is eccentric strengthening. This is when a muscle is being loaded but rather than shortening as we would expect a muscle to do (concentric) the muscle instead is controlling the movement by lengthening. J cook, K Khan. 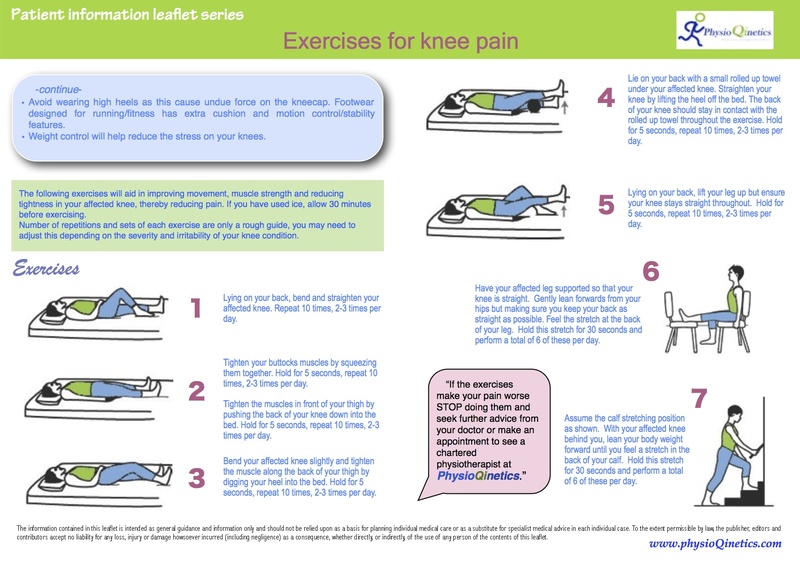 What is the most appropriate treatment for Patellar Tendinopathy? British Journal of Sports Medicine.